With competition season upon us, there’s a lot to think about – have your dancers perfected their routines? Do they have their costumes? Have you recruited some volunteers that can help out backstage? However, don’t forget to think about how your dancers will get to the venue in the first place. Organizing dance travel to a competition can seem like one big headache, but it doesn’t have to be. Follow these tips to get you and your dancers to the competition without the stress. Prior to the competition, if possible, travel to the venue to familiarize yourself with the best route to take to get there. Also, take a look at the available parking options. This way, you can have a better idea of the best transportation method your dancers and their families should take to get to the venue, whether that’s carpooling, taking a bus or driving. You’ll also be able to give better instructions on directions and minimize surprises the day of the competition. If the venue is far enough away that your students and their families will need to stay in hotels, spend some time researching the area online and using Google Maps to identify the best lodging options in the vicinity so you and the parents can plan the necessary accommodation ahead of time. Carpooling to the competition is a great way to streamline and simplify transportation. It’s also cost-effective, and is eco-friendly, as Dance Advantage pointed out. Make sure you leave enough time to organize the carpool – a month before the competition should be ample time. You can use a physical sign-up sheet in the studio, or you could use online sheets or create a private Facebook group for arranging the carpool. VolunteerSpot recommended creating a permission slip for parents to sign that affirms that the parents are alright with you taking the students out of state, if applicable, and that you have their permission to get the kids medical treatment in the event of an emergency. In the month leading up to the competition, hold a meeting with parents – or send out an email – that outlines the details of the carpool trip like when and where the car will leave from, the route you will take, when the car will arrive and other pertinent information. Also, make sure you have all the parents’ contact info prior to heading out. While carpooling in one or a few vehicles can be an efficient and cost-effective way to get to the competition venue, factors like the distance to the event and large amounts of equipment or luggage may make renting a bus a better transportation option. Before booking a bus with a private company, make sure you do your due diligence and research. Texas Meetings & Events magazine recommended that you book a bus early, since you can usually save money by making reservations far ahead of time. You should also have a meeting with a representative from the transportation company and ask them about the company’s insurance coverage, the experience of the drivers and their emergency protocols. Make sure you consider the itinerary for the day of the competition – should the dancers be dropped off at a designated area near the hotel to meet up with their families first, or should the bus go directly to the competition? Taking the time to figure out the specifics of the trip will help the transportation go more smoothly. If the competition is several states away or on an opposite coast, it makes sense to fly to the venue. If you have just a few dancers traveling to the competition, it may make sense for each dancer to buy a ticket individually to the same flight, or for the studio to buy a batch of tickets for the dancers all at once and then be reimbursed later. However, if you have a large group of dancers traveling, it may be a better idea to book the trip through a travel agent. U.S. News and World Report noted that agents can help large groups get discounts for flying together, so spend time looking at your options. Other considerations include coordinating transportation to the airport, figuring out accommodation and making sure everyone is checked in on time, which is easier to do these days because of mobile apps. If you are using a travel agent, he can help lock down these details. Also, don’t forget to consider luggage limitations. It can be helpful to give dancers a checklist of what they should bring with them. Pay special consideration to costumes, which should ideally go in carry-on because of the risk that checked luggage could be lost. Clear and concise dance registration forms make things easier for both dance parents and studio owners. Before drawing up a form or downloading a template off of the Internet, it’s important to give a little consideration to what will be included. Well-designed dance registration forms that contains only the most pertinent information will make it a snap for parents to register their children and for studio owners to organize and reference student information. A primary consideration when designing a dance studio registration form is whether it will be in print, online or both. A paper form makes it easy for parents to sign their children up for classes on the spot, and can be handed out when owners are away from the studio, for example when running a table at a fair or after a performance. Additionally, a physical form makes sure that those without Internet access can still sign up for classes. However, an online form provides convenience and accessibility from almost anywhere, especially as more and more people own smartphones and conduct their business online. Parents are already using their phones to take care of everyday tasks, like booking medical appointments and paying bills. A study by the Federal Reserve found that 52 percent of smartphone owners have used mobile banking in the last year, and research by Accenture estimated that two-thirds of patients will book their medical appointments online by the end of 2019. By adapting to these digital habits, studio owners make registering for classes as easy as possible for parents. 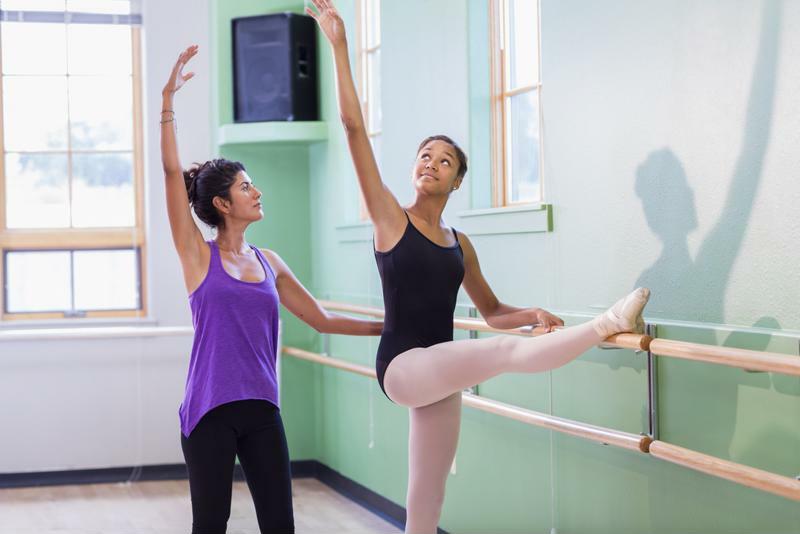 One studio owner started online registration through her studio’s website and offered a limited-time offer of 50 percent off the registration fee for parents that registered online, and saw great results. Another owner advertised online registration on her website and then received 80 registrations in addition to the 120 she got through her open house. Handling registration online also gives studio owners the extra benefit of being able to post registration reminders on Facebook and via email. Creating an online form is easy and cheap, since no printer is required! There are several easy and free ways to create online registration forms, like Google Forms and Wufoo. Depending on a studio’s clientele and website budget, providing both paper forms and online registration may be the best option. The first section of your dance registration forms should be the student’s information, including his/her name, date of birth, home address and home telephone number. Then include the contact information of her parents, including the parents’ names, email addresses, cell phone numbers and emergency contact information. A line that asks parents to note whether they would prefer to communicate via email or phone is also helpful. Beneath the contact information, ask parents to list whether their children have any allergies or other medical concerns. I understand that dance classes may include, without limitation, dancing with props, stretching, barre work, across the floor combinations, dance routines in the center, and other related activities. I further understand that all of the activities of the dance class involve some degree of risk of strain or bodily injury. XYZ Dance Studio is not responsible for personal property. Next, include a section for listing which classes the student is signing up for. One way to do this is by creating a table with columns for the class name, scheduled date/time and tuition. Beneath the table, include a line for the registration fee and any additional expenses, like a recital fee or costume fee, followed by a line for the total balance due. Some studio owners attach their class schedule and a condensed version of their policies to the dance registration forms so parents can easily reference them. Try to keep the whole document to as few pages as possible, though, since handing parents a stack of papers – or forcing them to click “Next Page” 50 times online – will only overwhelm them! And, if this is you, it’s time to re-focus the lens on your attitude and actions so that you can thrive, not just survive in the coming months. It’s THAT time of year again! Yes, you know it…. From eating out every day at rehearsals to ZERO food in the fridge at home the next week. From 800 students on the day of the last recital to ZERO students the next day. From performance adrenaline to ZERO energy the morning after recital. From hundreds of people telling you how great you are at the show to seemingly making ZERO people happy after fall placements come out. One tried-and-true method of generating a little extra income at your studio’s dance recitals is to sell bouquets of dance recital flowers to proud parents. This strategy is genius, as parents love having the option to pick up lovely flowers for their dancers without having to make a pit stop at the florist. However, it often takes studios a few years to perfect their flower-selling processes, as the cost, supply and execution can be a bit confusing. If you’re selling bouquets for the first time, here are some tips to help you make the most out of this recital extra. The first time you’re selling bouquets at your end-of-season recital, you probably won’t know how many to order. Should you assume that half of parents will purchase flowers? Or maybe three-fourths? It can easily become a guessing game. However, it’s best to come up with an informed estimate instead of picking a random number. After all, you don’t want to end up with 20 extra bouquets, as that’s just a waste of money. Consider sending out a survey to parents to get an estimate of how many people would buy recital flowers and what price point they’re interested in. When in doubt, err on the lesser side. It’s better to sell out than to have bouquets left over. Hopefully you left ample time in your flower-planning process to arrange for delivery. Dance Exec recommended that you contact local florists at least one to two months in advance. If you wait until the last minute, you might not be able to get competitive quotes on the style of bouquets you’d like. You also may want to explore online vendors, such as 48 Longstems. Odds are, you’ll get a better price online. When you’re ordering, keep the price point that parents agreed to in mind. You’ll want to mark up the flowers at much as possible so you can optimize your profits. If you can find quality bouquets for $10 a bundle, you should aim to sell them for around $20 a piece. Another option to consider is just purchasing a large quantity of roses or carnations and allowing parents to purchase one or more for around $5. If you’re going to do a pre-sale, create order forms and hand them out to your parents. Then you simply give the orders and payment to your local florist, and let them take care of the rest! Parents can pick up their pre-ordered bouquet on recital day. The only downside of this method is that some parents might forget to place their orders and be disappointed come recital day. If you think this may be the case, pick up a few extra arrangements for last-minute sales. Be sure to mark the prices up accordingly! When you’re selling bouquets at recitals, chances are that parents will be willing to purchase other add-ons for their accomplished dancers. For this reason, it is often beneficial to have other merchandise available at recitals. Consider having branded studio attire, balloons, teddy bears, trophies or recital DVD forms available for parents. These inexpensive items are often a hit with students and parents alike, and they are a great way to generate a little extra revenue for your studio. *Studios that use TutuTix to sell recital tickets can also pre-sell items (like flowers) through our system! Interested? Drop us a line, we’d be happy to walk through it with you.